Soil is a vital part of the natural environment. It supports the growth of plants, is a habitat for many different organisms and is at the heart of nearly all agricultural production. It also plays an integral role in countless other ecosystem services like water and climate regulation. Despite this, soil degradation is widespread. Soils rarely get the policy attention they deserve. There is little incentive for farmers to adopt practices that conserve soil. 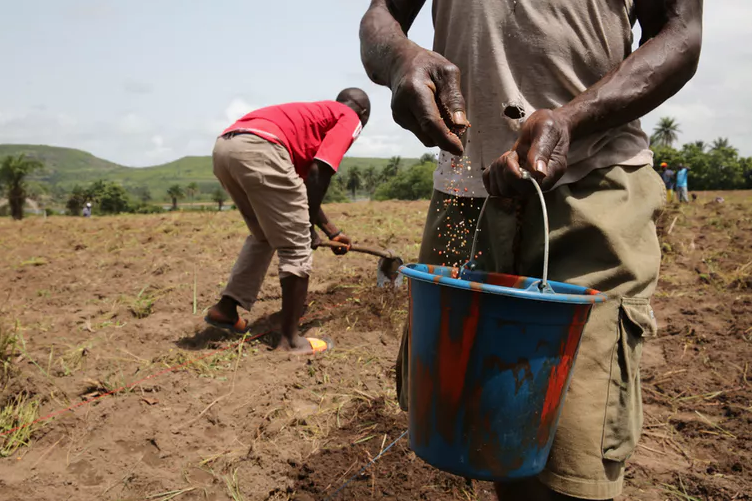 In the longer term soil degradation costs farmers and countries money, reducing farm productivity and capacity to adapt to climate change, and causing environmental damage such as poor water quality and silting of dams from soil erosion. One of the major barriers when it comes to governments and policymakers taking soil science seriously is the approach of scientists themselves. There are three main ways in which soil science has failed its stakeholders. The first relates to over generalising recommendations beyond the conditions for which they were developed. The second has to do with uncertainty: scientists don’t properly communicate the risks inherent in their recommendations. And the third is about “translating” findings into economic terms so that farmers and policy makers can work with them. Luckily, there are solutions, as is being shown through the work being done by the Africa Soil Information Service, which has started using a different approach to research in Ethiopia, Ghana, Nigeria and Tanzania. For starters, soil investigations don’t do enough to address variability. Soils vary enormously from place to place, even in different parts of the same farm, and taking recommendations developed in one place and applying them in another doesn’t work. Scientists tend to generalise recommendations made from soil studies conducted at too few locations. This approach doesn’t work. Sometimes soil scientists forgo field experiments entirely and use models instead. This is understandable; field experiments are expensive and models can tackle the problem of sparse data. For instance scientists will use them to predict soil erosion from basic soil properties, like clay and organic matter content. But these models are being applied beyond the geographical region for which they were developed. An example is the Universal Soil Loss Equation, which was developed in the US but is now widely applied without being adapted to different contexts. Once soil surveys or soil management experiments are done, scientists rarely highlight the uncertainty associated with the data they collect. Worse still, often the data used to generate recommendations can’t be traced because of poor data curation. This has important negative consequences. For one, this makes it impossible for others to learn how to improve on recommendations. Secondly, ignoring uncertainty in the recommendations masks the risk of using them. A farmer won’t know the chances of getting less than the expected response to a recommended treatment or even a negative response. Crucially, soil scientists rarely go the extra mile to translate their knowledge into forms that can be integrated into economic decision making of farmers and policy makers. Farmers are focused on getting the best return from their inputs with as little risk as possible. Policymakers are primarily concerned with making optimal investments. They want to know which interventions best meet multiple objectives given the trade-offs, like between farm productivity and environmental impacts. But soil scientists rarely do the work needed to translate their knowledge into economic terms that can be integrated into such decision making. They’ve also not taken a systematic approach to pinpoint the decision dilemmas facing soil users and policymakers, and analysing the areas where improved soil science knowledge would help to improve outcomes. For example, few soil scientists are aware of approaches used in decision sciences that allow the calculation of the value of information, which tells you what further information you need to collect and how much it is worth spending to get it. How can these problems be solved and gaps between scientists, farmers and policy makers be bridged? Soil scientists should adopt a “public health surveillance” style approach to making recommendations which accounts for variation by using statistical sampling procedures and so provides more sound inferences. First the area of interest is defined, then soils are studied at random, pre-defined locations. The results can then be safely inferred for the whole area. In public health, this approach is used to develop diagnostic tests that are stratified on sub-populations – like age or gender. The Africa Soil Information Service has started using this approach in Ethiopia, Ghana, Nigeria and Tanzania. Its scientists are producing digital maps of soil properties that are directly useful for guiding recommendations, as opposed to inferring them from soil classes. Using a surveillance approach could lead to fundamental changes in policy [https://www.unccd.int/actions/ldn-target-setting-programme]. For example, instead of prioritising resources towards restoring hot spot areas that are severely degraded, it may focus policies towards adopting more sustainable soil management practices everywhere. This is a parallel to the shift in public health from treating the seriously afflicted towards a population-wide preventive approach.[doi:10.1016/j.agsy.2014.09.002]. Soil scientists should also maintain databases of the original data used to generate recommendations and highlight uncertainties. There are new, accessible tools that can help with this. These allow for the integration of expert knowledge, and its uncertainty, in a way that makes assumptions clear. An added bonus would be if these tools were made accessible on mobile phones so that farmers could enter local observations and obtain updated estimates. Finally, soil scientists must work more closely with quantitative decision analysts, soil users and policy makers to focus research on the critical information required to improve economic decision making. How Do You Restore Land in a Small Country?